Haryana Staff Selection Commission (HSSC) is inviting eligible candidates to fill 7110 vacancies of Constables and Sub-Inspectors in Haryana Police Department. For good preparation, you should have the knowledge of the pattern of exam and selection process. 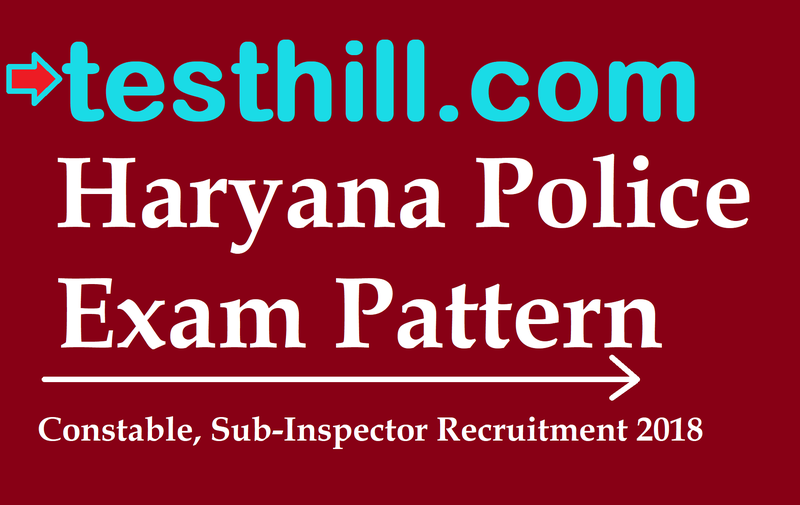 Read this complete article on Haryana Police Exam Pattern and get to know about all the details of written exam and physical tests. This is the good opportunity for those who have a dream to work for Haryana Police. The candidates who are interested in Haryana Police Recruitment can apply before the last date i.e. May 28, 2018. This will be an objective test of total 80 marks and 100 questions. The medium of examination will be Hindi except where the knowledge of English language is to be tested. The standard of questions for the post of Constable will be 10+2 examination of Board of School Education Haryana and graduation from a recognized University for the post of Sub-Inspector. Those who qualify the knowledge Test will be invited for Physical Screening. After qualifying Physical Screening Test, Candidates shall have to undergo Physical Measurement Test. Those who qualify PMT, will be invited for scrutiny of documents. Among all exam stages, marks obtained in knowledge test are considered for final selection. PST and PMT will be qualifying in nature. The candidates who are applying for constable post, having graduation degree in any stream will get 4 marks. Those with post graduation degree will get additional 3 marks. The candidates who are applying for sub-inspector post, having graduation degree in Law, Computer Engineering / Science, Forensic Medicine, Forensic Science, Police Science, and Criminology (for 4 or more years after 10+2) will get 4 marks. Additional 3 marks will be given for post graduation degree in these streams. Those having M. Phil or Ph.D above post graduation in other fields will get additional 3 marks. Those having NCC Certificate of A, B or C level will get 1, 2, 3 marks respectively. 5 marks will be given if your father, mother, spouse, brother, sister, son and daughter is / was a regular government employee. 5 marks will be given to widow / orphan.